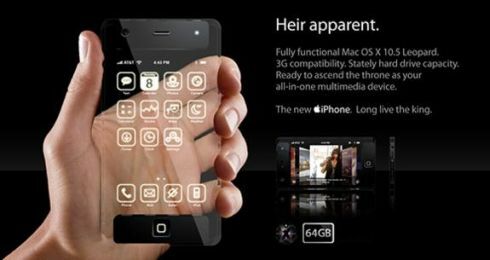 Apple iPhone Concept, 3.0, 4G? There’s no point in checking out iPhone 3G concepts any more, so we’d go out and assume that all the futuristic designs we see from now will be iPhone 3.0 wannabes. The device below might as well be the iPhone 3.0, that comes with a neat transparent body, 3G support, fully functional Mac OS X 10.5 Leopard and 64GB internal memory.